I've noticed numerous times when trying to recharge the Tello just after flying it, that the indicator light flashes blue a few times, then flashes rapid yellow. I'm wondering if the battery needs to cool down before recharging? Anyone else experienced this? I'm wondering if the battery needs to cool down before recharging. Yes, per p. 15 of the manual, it must cool down "to near room temperature." Yup, I'm a typical guy. Why read instructions when I know it all? A couple of times I've come in to charge the Tello just after flying and when I've plugged it in I've seen NOTHING, no light at all. I am thinking what you all just said, that it needs to cool down first. After playing around a few minutes the blue light comes on and it charges. Unplugging and then replugging should solve the problem. Also, be sure the battery is pushed all the way in -- you should feel and hear a click. If those do not solve the problem, the battery may be refusing to accept your particular combination of cable/charger. Try a different combination. If still no success, you may have a defective battery. I have had this problem with different charger/cable combinations. Then you likely have a defective battery. 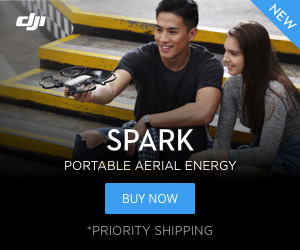 Where did you purchase the aircraft with battery and when? I've have had the same problem when i have let the battery go completely dead, would not charge, no blue light flashing. Pulled the battery out and reinstalled and it started charging again. Try it and hope it helps. Also make sure the battery has cooled down first after flying. They just include extra parts to confuse us master builders! The tello is charging for a few hours now... Blue light still flashing.... so from what I read could be the cable ?? I have exact same problem. Blue light blinks slowly (i.e charging) forever and it never goes solid when fully charged as per the manual. I tried few different cables directly to USB adapter or to a power bank and situation is the same. But my experience with a power bank was better since the power bank goes off when it is fully charged and that was a sign for me that charging was done. Any ideas what is wrong ? I can confirm it’s charging as should be using the mavic charger. But I wonder if I didn’t have the mavic charger then what should I have used for perfect charging ? Is it the cable or the USB adapter ? Usually we have the iPhone and Samsung USB adapters and some standard cables. Don’t know why Tello left it without a definite charger if it needs some specific charging specs as it seams! My buddy has a Tello that flashed blue over night, I gave him another wall wart and cable then it charged properly.